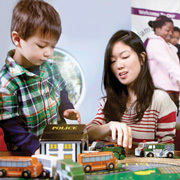 The Free Library of Philadelphia elevates early learning through play with the introduction of inventive children's spaces that encourage all kinds of movement. 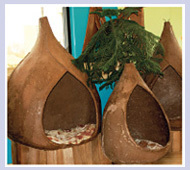 Looking for short-term use of cake tins, camping equipment, or bikes? These libraries lend out all of those items and a lot more. Breakerspace. Toy Takeapart. Break & Make. 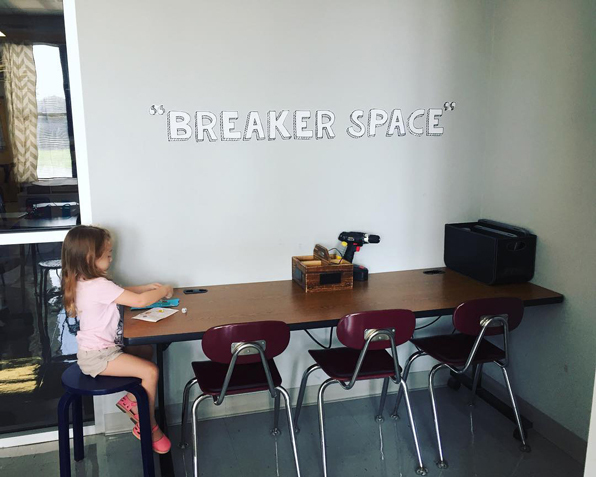 Whatever you call it, a breakerspace lets kids take stuff apart to see what makes it tick. Ideas to update your library: turn tires into comfy furniture, transform a map into a green screen, and more. 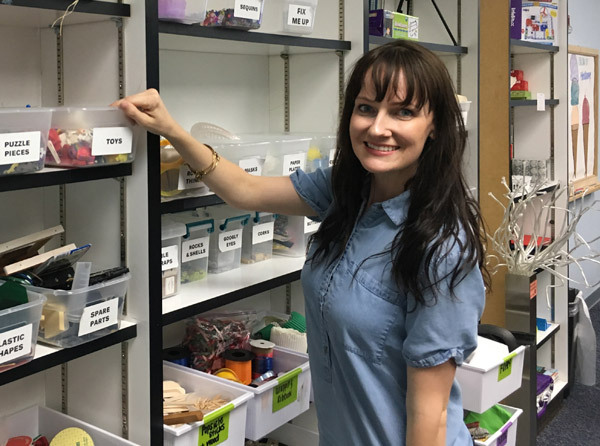 2017 School Librarian of the Year Finalist Alisha Wilson’s library “Spark Lab” has all the supplies kids need—including a writing lab for one-on-one help. 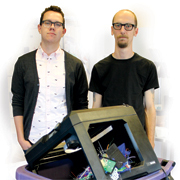 Your 3-D Printer Hates You. Now Let’s Get Started! 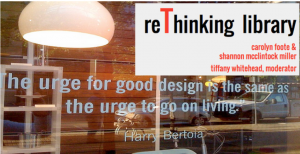 Avoid these snafus—and design a 3-D printing program that you and your community will love. The striking design of the Parsons Branch of the Columbus (OH) Metropolitan Library suggests that this is a place where people of any age can thrive. 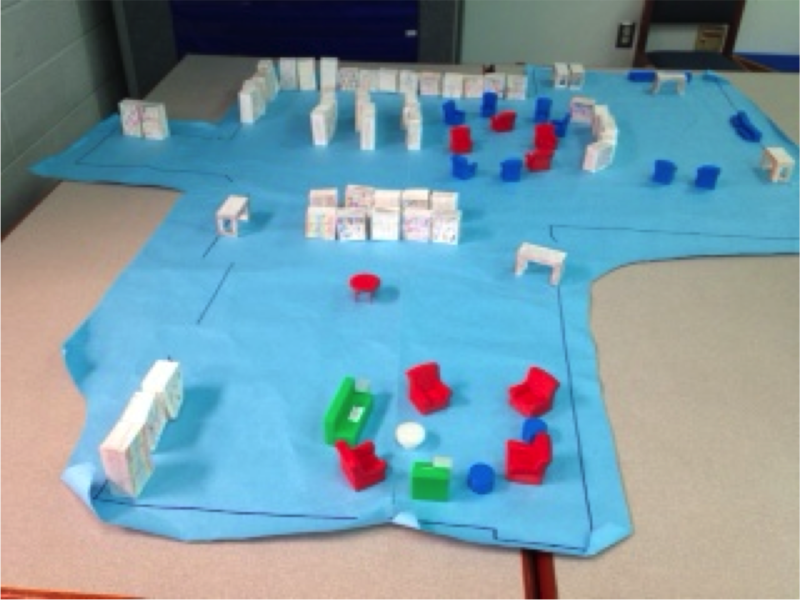 An elementary school librarian and her students reconceive their library to make it more conducive to Project Based Learning. 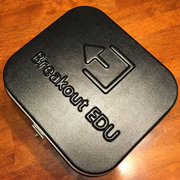 Facilitating inquiry, problem solving, and collaboration, the Breakout EDU kit facilitates student problem solving in libraries and classrooms with minimal setup. A lot of imagination, a little elbow grease, and the right tools can yield dramatic results like these. 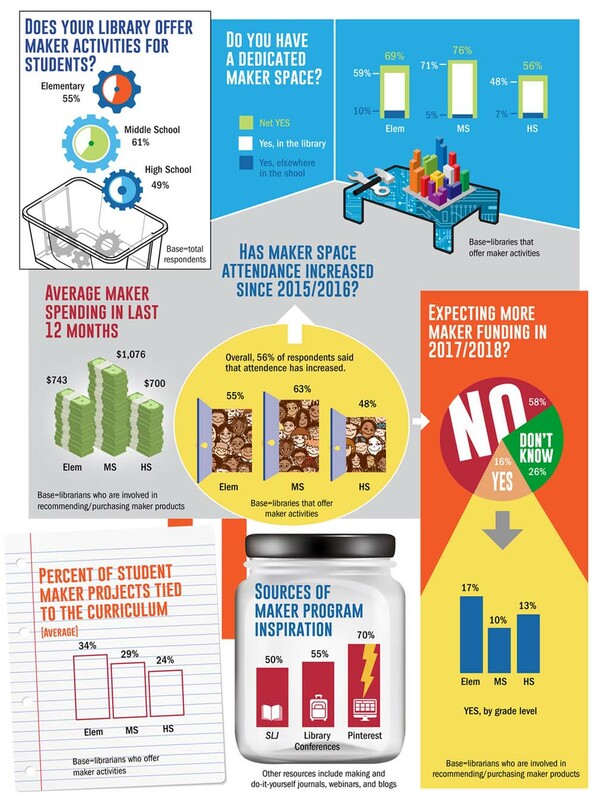 How one public librarian researched, budgeted, and created the best maker space for her customers over the course of six months. 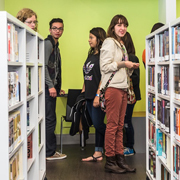 Teens are taking center stage—literally—at new library teen spaces throughout the country. From Boston to San Francisco, these notable projects have a few things in common—teen involvement, multipurpose spaces, areas for hands-on creation, and enthusiastic repeat visitors. 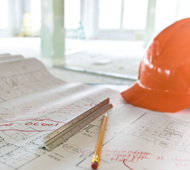 This eye-opening selection of books about buildings and architecture provide a wealth of opportunities for exploring various cross-curricular topics including art, science, environmental studies, history, and cultural studies. 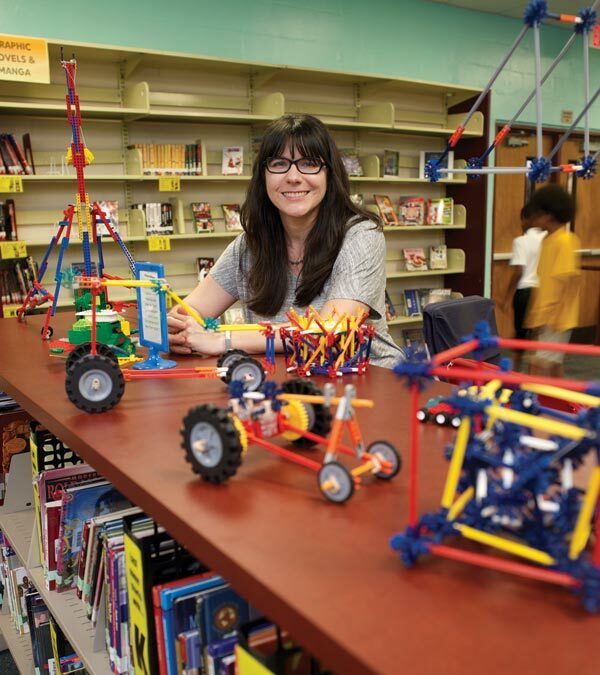 Read about the winner, first runner-up, and editor's choice for SLJ's 2015 Build Something Bold Award, honoring creativity in school library programming that incorporates hands-on learning led by the librarian or media specialist. 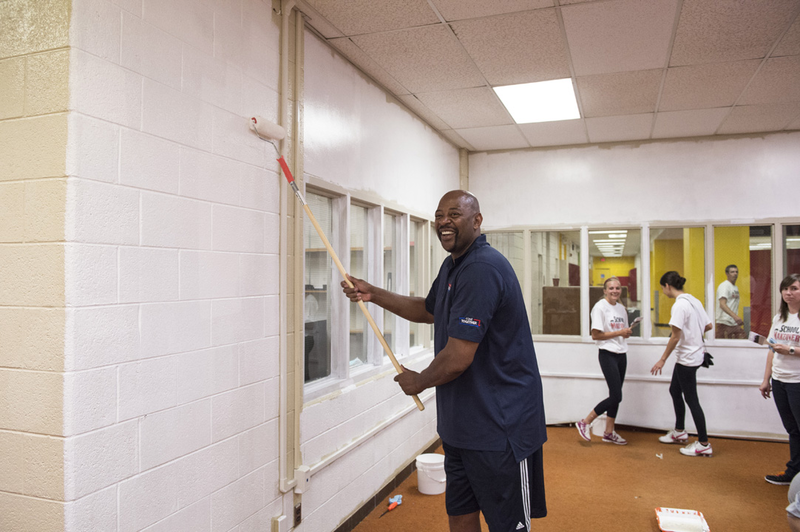 A Detroit high school has scored a slam dunk—a renovation of its school library—by winning the Detroit Pistons’ “Reading Room Makeover” for 2015–16. More than 30 Michigan schools from 24 cities applied for the makeover, which supplies new carpeting, paint, and furniture. 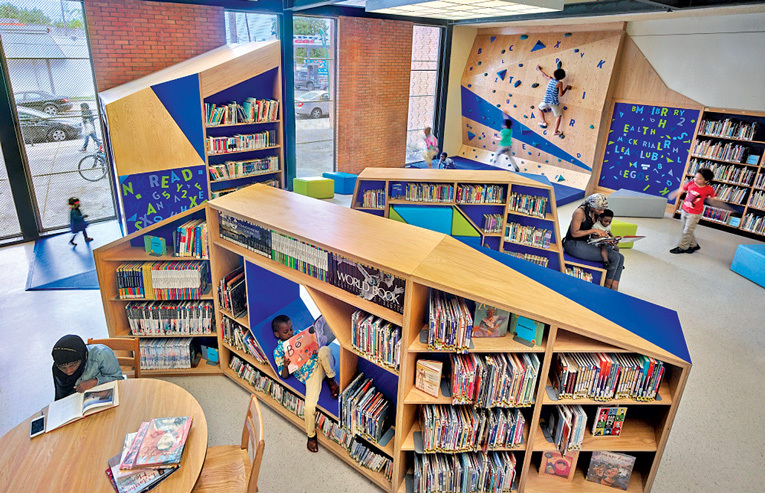 These innovative public library destinations for young children and their caregivers are places for reading, romping, and learning. 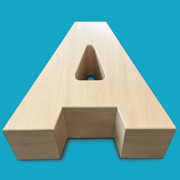 The award honors creativity in school library programming and lesson plans that incorporate hands-on learning. 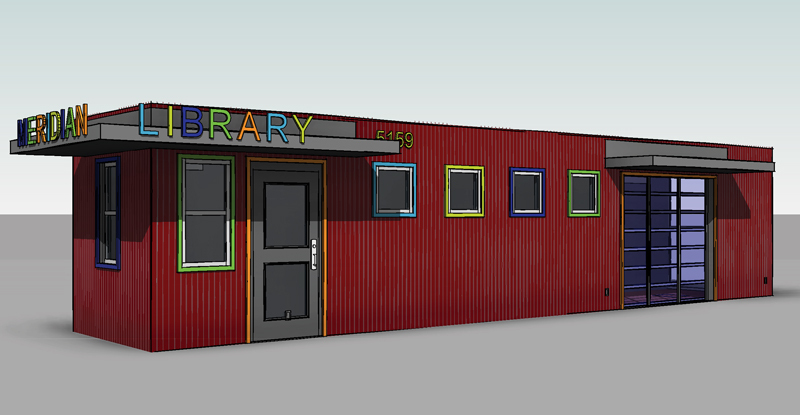 Getting a new school library off the ground takes ingenuity—and elbow grease. Read how these determined librarians did it. 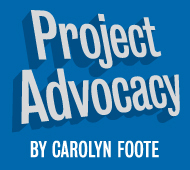 Plus: grant opportunities and key questions for volunteers. 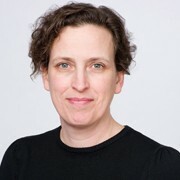 A school librarian assembles a "must-have" library design wish list with crowdsourced recommendations. 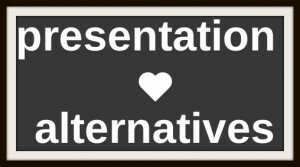 Do-it-yourself maven Melissa Techman says that bulletin boards can be important communication opportunities in your library. 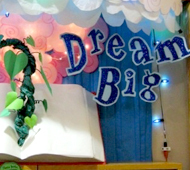 The K–5 librarian offers tips to keep it cheap and chic, and guidance on how to align bulletin boards with inspiring and informative instructional activities. 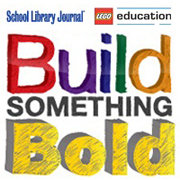 The four stand-out programs recognized by SLJ and LEGO Education's Build Something Bold design award reinforce the case for strong school libraries. 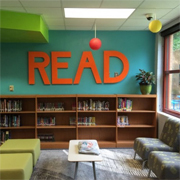 The winner of the inaugural 2014 SLJ and LEGO Education Build Something Bold Library Design Award is Walnut Grove Elementary School library, in Madison County, AL. 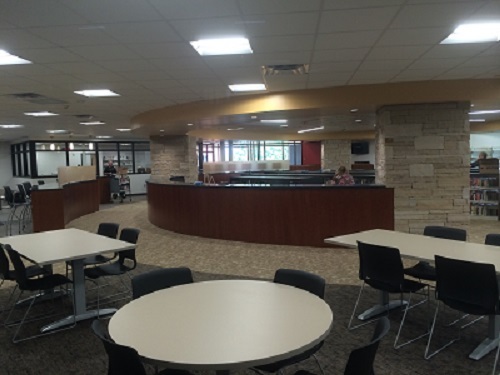 Led by librarian Holly Whitt, Walnut Grove's library features a “digital diner” with tabletop “jukeboxes” of technology. Locke Jetspace: L.A. School "Library of the Future"
A Los Angeles high school's 3,000 square foot library renovation project, “Locke JetSpace,” aims to redefine the way students can learn. Arapahoe High School in Littleton, Colorado, rebuilds its library and gets a new outdoor commons, after a tragic high school shooting last December. 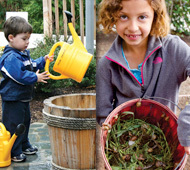 Kids are learning about nutrition and the environment as libraries create gardens to expand their mission. 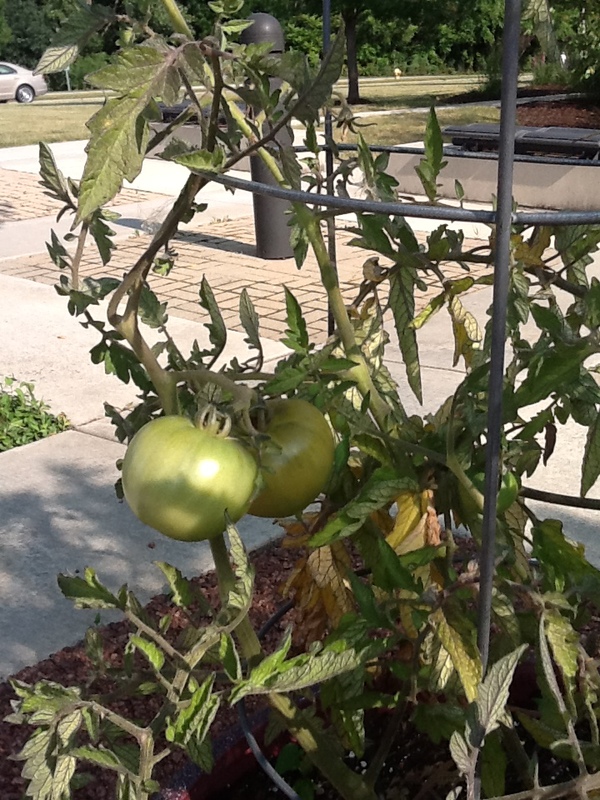 What's growing in library gardens across the country. 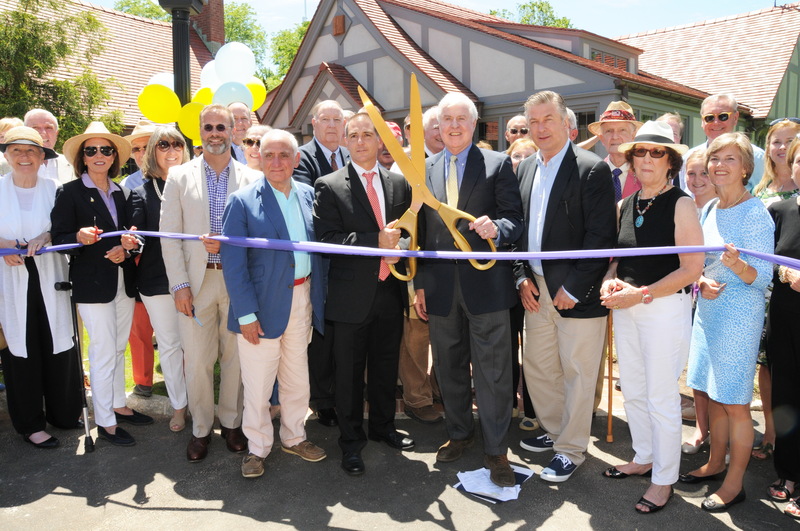 After years of struggle fraught with zoning issues, East Hampton Library was finally able to cut the ceremonial ribbon on June 21 to celebrate its 6,800 square foot addition following a lawsuit and $5.8 million in donations—including a large sum from East Hampton local, actor Alec Baldwin. 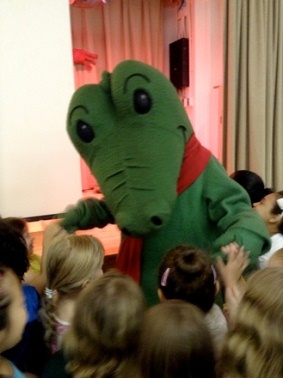 An event on May 14 honored the late Bernard Waber, author of the "Lyle the Crocodile" books, and designated the Yorkville Community School on East 88th Street a Literary Landmark. The street was made famous by Waber in 1962 with Houghton Mifflin's publication of The House on East 88th Street. 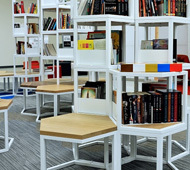 The recent surge of interest in reconfiguring school library spaces offers tremendous opportunity to spotlight the potential of school libraries. 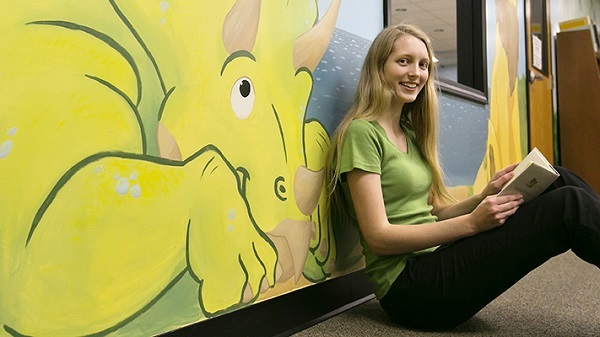 Missouri University of Science and Technology student Lara Edwards's school assignment resulted in a vibrant and detailed mural for the Leola Millar Children’s Library in Rolla, Missouri. Something about the act of reading calls out for a safe, snug, and comfortable spot. 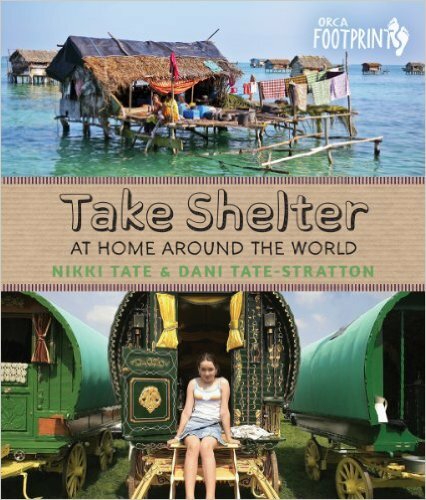 SLJ explores an array of exceptional reading nooks, in libraries from the United States to Australia. 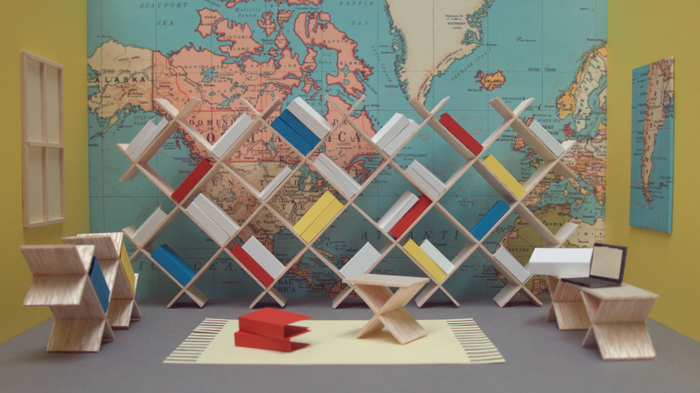 The eighth-grade students at a charter school in Berkeley, CA, designed and crowd-funded their own school library, complete with student-conceived geometric shelving, furniture, and more. 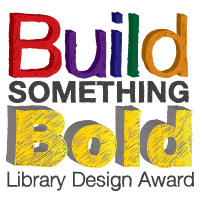 The "Build Something Bold" Library Design Award seeks innovators in the field of space use, resources, and programming in both libraries and classrooms around the United States. 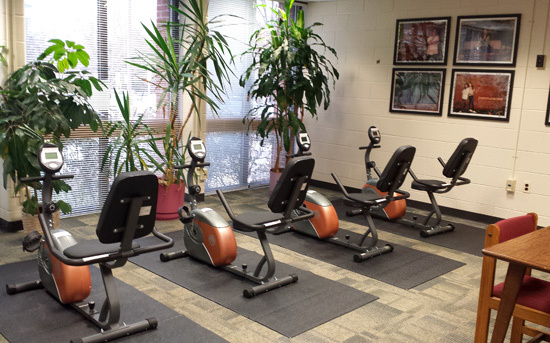 Thanks to four new recumbent bicycles installed at the school library at Falls Church (VA) High School, students can fit in some physical activity while simultaneously catching up on reading and schoolwork. 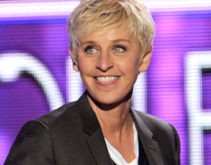 The Detroit Achievement Academy in Michigan announced that it is naming its library in Ellen DeGeneres’s honor because of her philanthropic work and advocacy for its students. Only in its first year of existence, the charter school and its 28-year-old cofounder, Kyle Smitley, were featured as part of the “Inspirational Story” segment on The Ellen Show.